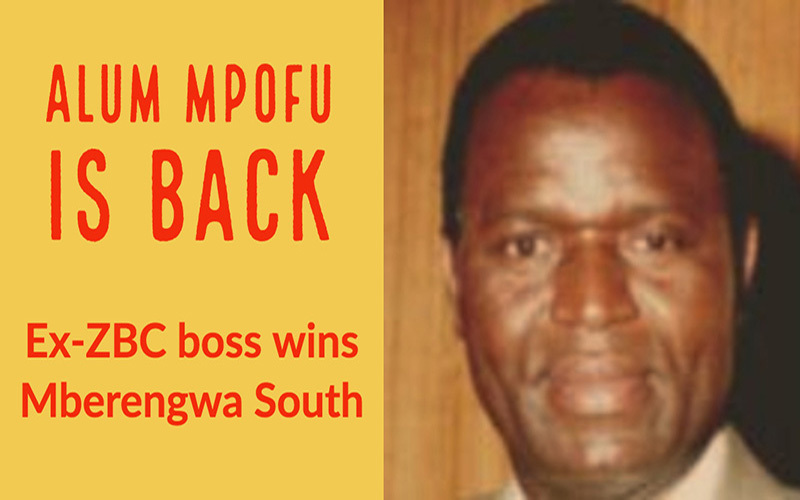 Former head of Zimbabwe Broadcasting Corporation (ZBC) forced to quit his job ahead of a government inquiry into allegations of homosexuality, has won a Zanu-PF primary, sending him into a general election for a Mberengwa South National Assembly seat. Alum Mpofu, former chief executive of the ZBC, who resigned in 2002 after he was accused of being caught in a homosexual act in a Harare night club, won the party's nomination for the Mberengwa South National Assembly seat with 2 899 votes, well ahead of rival candidate who polled 2 044 votes, according to the voting tallies released by Zanu-PF political commissar Englebert Rugeje. The resignation of Mpofu, the architect of the ruling party's propaganda campaign by the State broadcaster ahead of the heavily disputed 2002 presidential elections, headed off a damaging inquiry ordered by the government into an incident at Tiperary Nightclub in Harare, then owned by a ruling party lawmaker, Pearson Mbalekwa. Former Information minister Jonathan Moyo recruited Mpofu, then working at the SABC, to head changes at the ZBC that streamlined its role as a government mouthpiece.